Dr Abbas Jafri MD (Shenandoah) - Book Appointment Online! 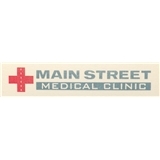 Main Street Medical Clinic provides exceptional and personalized care to all patients aged 16 and up. Here patients can find treatment for all areas of Internal Medicine including all adult diseases, chronic disease management, urgent care, wellness physicals, and well women's exams. Dr. Jafri and his staff are dedicated to every patients’ well being and continually strive for the highest quality of care and service. Main Street Medical Clinics are conveniently located adjacent to I-45 and Rayford The Woodlands and our Huntsville office is next to Huntsville Hospital in the Robinson Creek Center. Our elegant clinics are where you will find outstanding health care. We are currently accepting new patients, and walk in patients, we look forward to serving all your primary care needs.